The women's Irish tea shirt features a colorful play on words that includes an abundance of shamrocks. 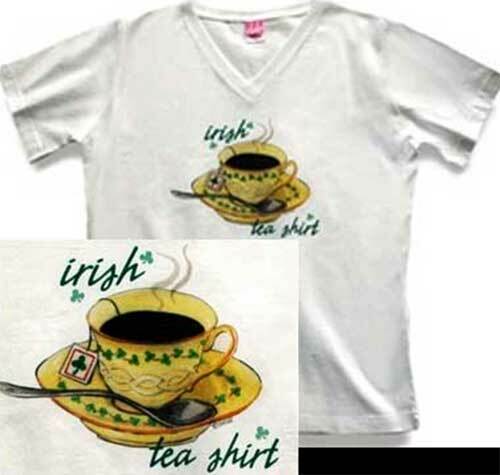 This women's Irish t-shirt is 100% pre-shrunk cotton and features a feminine V neck design. The ladies white shirt is received with a shamrock history card, complements of The Irish Gift House.